I cannot believe that it’s only been 2 years since I launched the first edition of this survey on the state of online analytics in higher education. Back in May 2010, when I started to work with Shelby Thayer on what I called the higher ed analytics revolution, I had high hopes that we would revolutionize higher education. This hasn’t been the revolution I had hoped for but this 3rd edition survey results show positive trends. The higher ed analytics needle is moving slowly but definitely in the right direction as you’ll be able to see below. 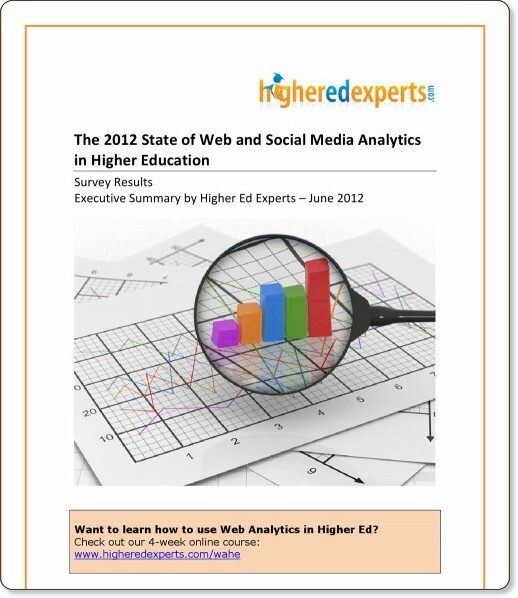 A total of 344 professionals working in institutions of higher education completed this online survey about the State of Web and Social Media Analytics in higher education conducted from March 30 to April 18, 2012. I’ve tried to include in the report data points from the 2010 and 2011 editions as well when possible. 97% of survey respondents track web traffic data. 97% of survey respondents who track data use Google Analytics, 62% Facebook Insights, and 40% YouTube Insights. In 60% (67% in 2011, 72% in 2010) of the cases respondents spend less than 2 hours per week working on Analytics. More than a quarter of respondents (27%) spend between 2 and 5 hours per week on analytics. Two thirds monitor the 5 following metrics: page views, visits, unique visitors, Facebook Page Likes and average length of visits. Close to half the respondents (47%) now track mobile web traffic, an important increase over the past year from 38% in 2011. 31% track online applications and 35% online inquiry for admissions, but the majority wish they could. 18% track online donations and 41% wish they did. 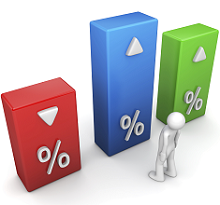 Insights gained from Analytics are used primarily to improve the website for 72%. They are used to inform content strategy by 66% and marketing strategy by 50% while 46% use them to optimize social media. Only 12% don’t use them at all.